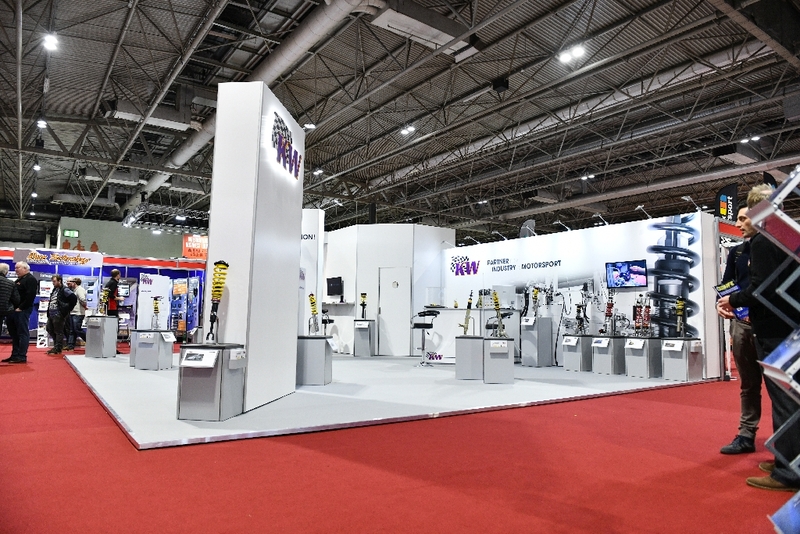 Birmingham’s National Exhibition Centre might not be the first place you think of when it comes to the cutting edge of professional motorsport and associated technology, but thanks to the Autosport International Show, the NEC has become the de-facto ‘opening gig’ of the motor racing world. 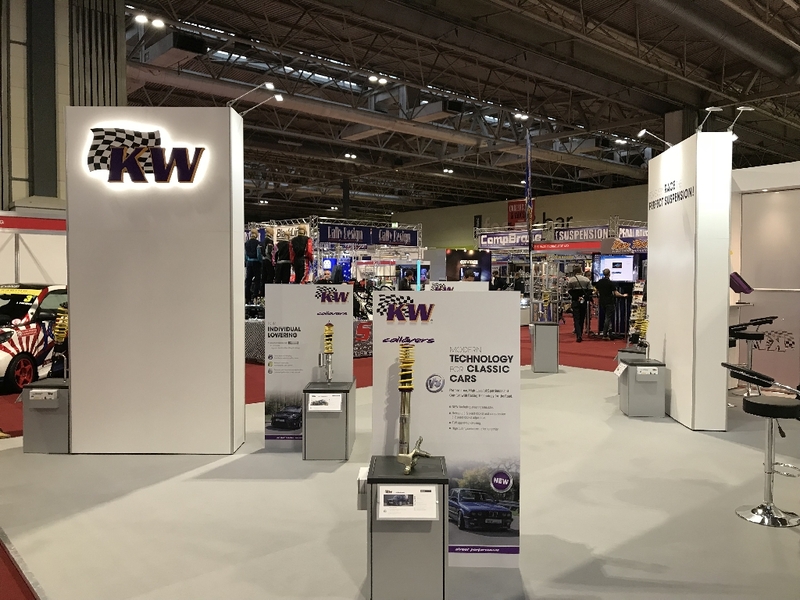 We at KW have a long and storied history when it comes to competition at all levels, with the majority of our suspension products having been developed on the track (or at the very least honed with track work in mind), so it goes without saying that we were on hand with a selection of key offerings, not to mention members of our development staff to answer any customer tech queries. 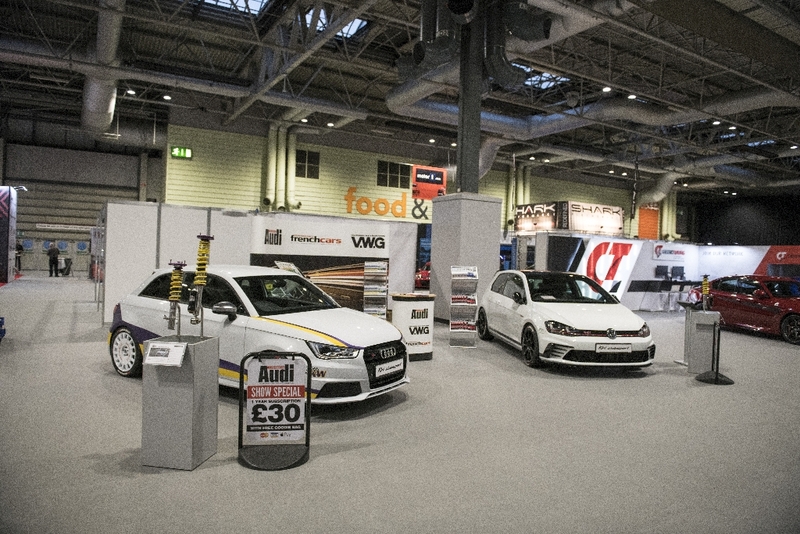 Here’s how KW’s Autosport show unfolded. Clear evidence of our commitment to pushing the boundaries of aftermarket suspension could be found in an all new product, our 4-way Competition TTRWSP4A TwinTube kit, complete with both high speed-low speed bump and high speed-low speed rebound settings, at a stroke giving performance car owners near total control over key aspects of their car’s handling traits. Keep your eyes peeled for more information on specific makes and models in the coming months, particularly if you’re a dedicated track day or club motorsport devotee. 2018 will see the KW family grow by one to include the V4, a product line primarily aimed at supercar owners. 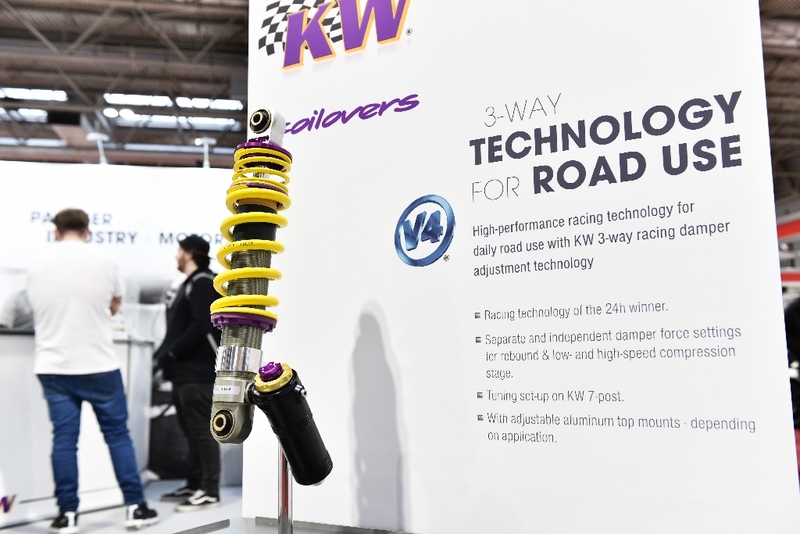 The technology at the centre of the V4 kit, namely 3-way adjustability and the near total control it gives over key aspects of automotive handling, has been well proven in the upper echelons of our dedicated race car suspension programme. 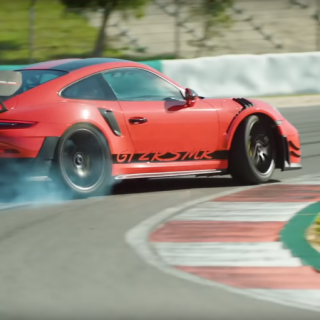 It means that supercar owners need have no qualms over the prospect of ditching their OEM suspension for KW branded equivalents, and we expect the Variant 4 range to be readily embraced by those lucky enough to own a Porsche, Ferrari or Lamborghini. 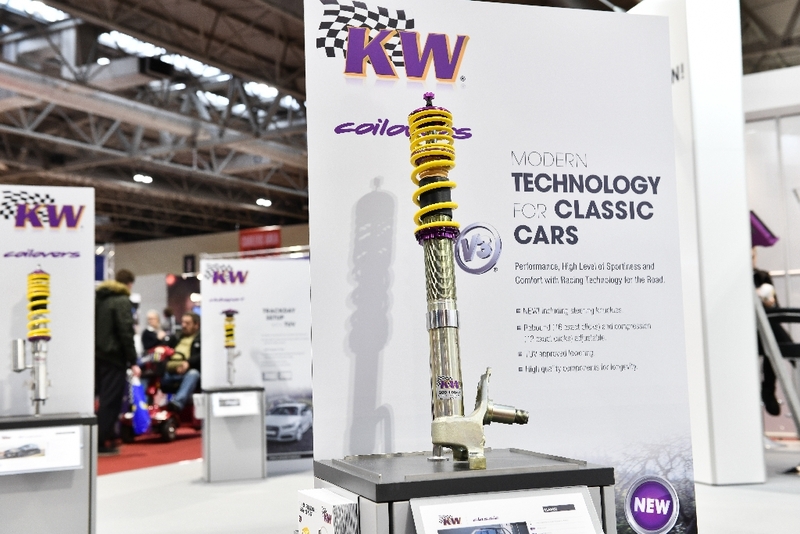 Our commitment to driving and track enthusiasts extends well beyond the realms of those models currently for sale in showrooms around the world, with the KW Classic range being among our fastest growing portfolio. 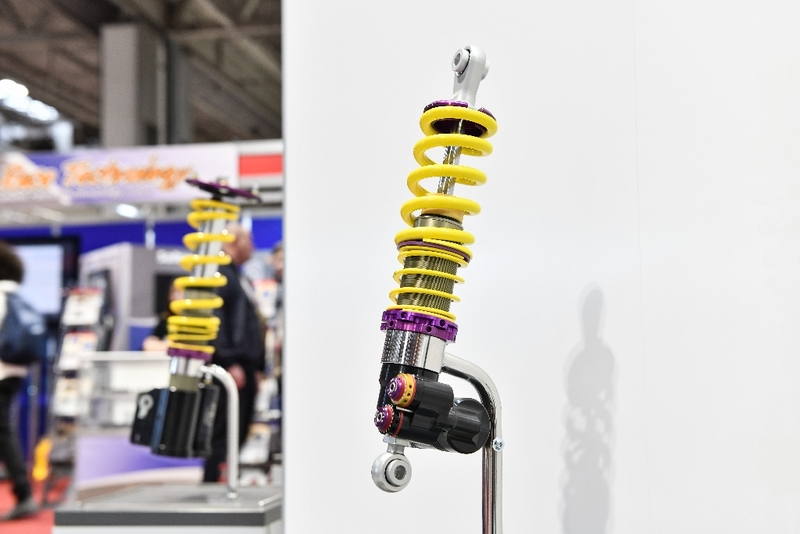 You didn’t have to look too far to spot evidence of this at Autosport, with the show selected to be the official UK debut of a pair of products, coilover kits for both the BMW E30 and Porsche 911 G-Series. 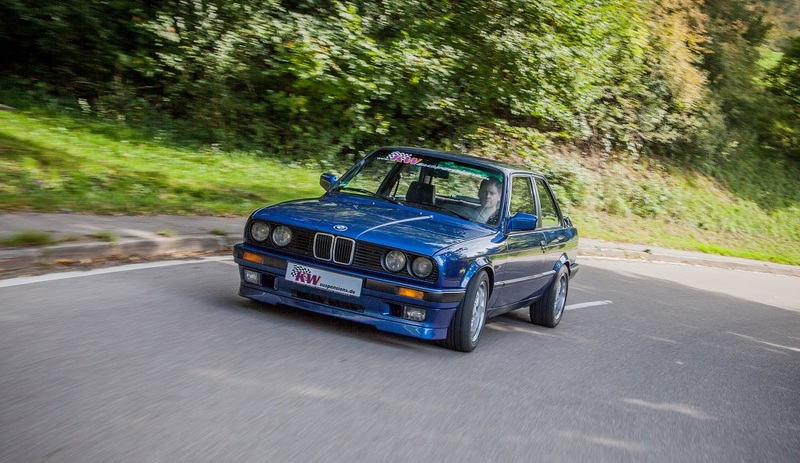 The BMW E30 needs little introduction – it’s now a fully paid up automotive icon with a cult following to match, which is precisely why KW Variant 1 and Variant 3 kits can now be ordered the ’80s 3-Series. Both take advantage of the massive advances made in the field of aftermarket suspension over the last 3 decades without compromising the E30’s fundamental character. Both V1 and V3 E30 options sport forged steering knuckles on the front struts, a feature which negates the need to re-engineer or otherwise adapt the OEM uprights, which in turn saves time, effort and money. 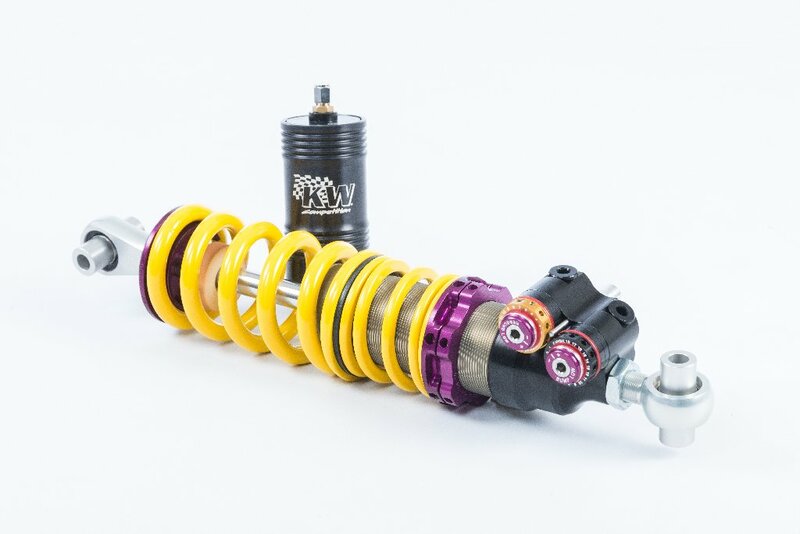 The V1 kit offers an impressive adjustment range of 60-80mm (front) and 55-80mm (rear), while the V3 bring our famous valve technology which permits independent adjustment of both the compression (bump) and rebound settings while the coilovers themselves are in situ. 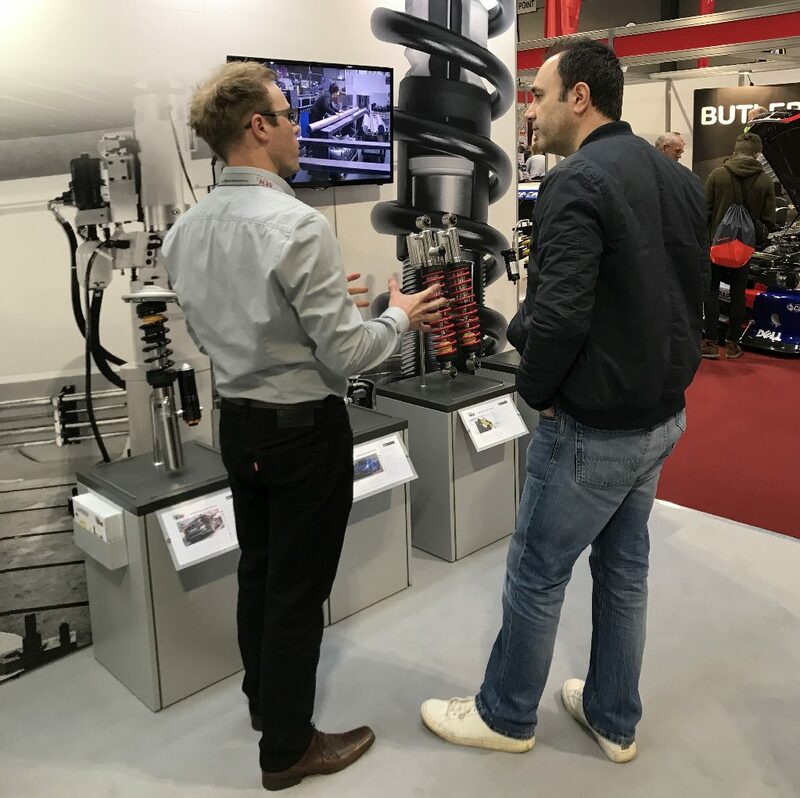 Our Classic offerings for the Porsche 911 G-Series are based around a similar concept, namely offering modern suspension performance without diluting the character of the car itself, and it was this fitment which went down especially well with Autosport attendees. 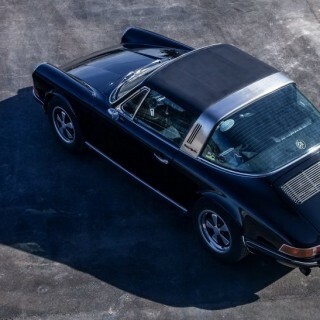 Our proven V3 technology, suitably re-engineered to take this generation of 911’s unique suspension layout into consideration, underpins the KW Classic option for mid ’80s Porsche owners, again giving them flexibility when it comes to setting their car up. 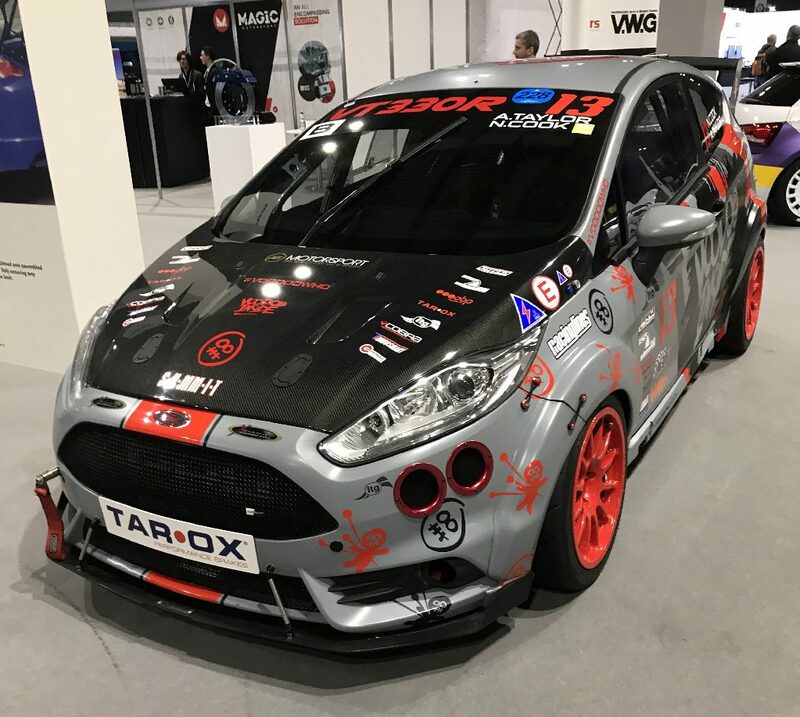 Away from our own stand and dotted all over the expansive NEC hall complex, it wasn’t hard to spot examples of cars already sporting KW hardware, with a mix of road and track machines to boot. 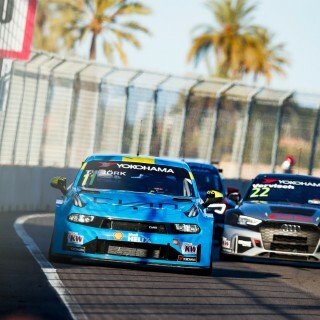 It’s impossible to compose a full list (largely as many of the competition cars lack KW branding) but some of the most exciting examples included the Audi S1 Quattro and Golf GTI Clubsport lurking on the Performance Audi magazine stand (both on Clubsport kits), AET Motorsport’s KW 2-Way shod Fiesta, and Race Chip’s Mercedes AMG, sitting pretty on our new Variant 4 kit.